Last week, JB’s Town Planning team had morning tea with Tiana Hill, winner of Jensen Bowers’ 2016 Urban and Environmental Planning Prize, to congratulate her on this outstanding achievement. The annual JB prize, now in its second year, is awarded to the highest-achieving third-year Urban and Environment Planning student, studying at Griffith University. Tiana who is studying a Bachelor of Urban and Environmental Planning (Honours), received $500 prize money in recognition of her impressive GPA (7.0) result, and will soon undertake work experience to learn from JB’s most skilled Town Planners. Tiana plans to put the prize money towards her further education expenses. “This prize money will help me a lot in providing much needed financial support for my future studies”, the Honours student said. JB Planning Manager, Mr Ben Haynes, said the award represents JB’s ongoing commitment to support and mentor the next generation of Planners. 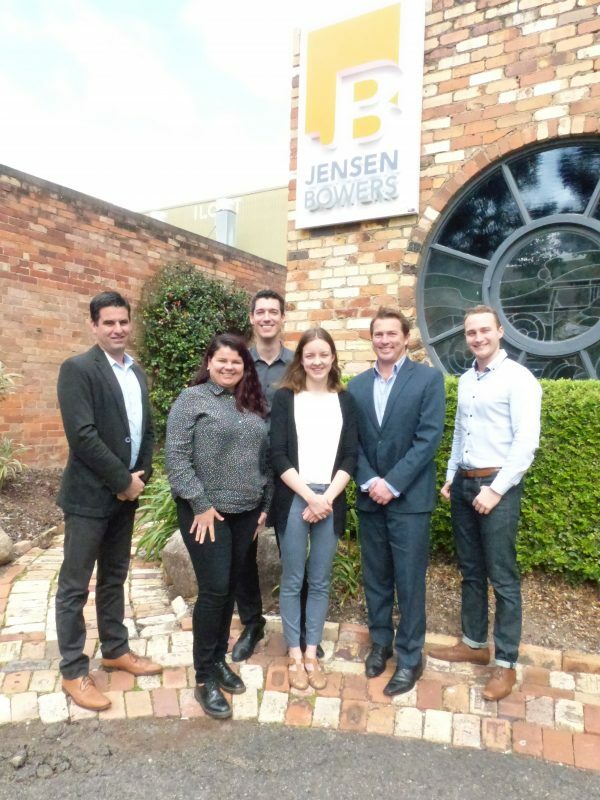 “At Jensen Bowers, we have a proud history supporting some of the best and brightest in our industry”, Ben said. “On behalf of the entire team at Jensen Bowers, we would like to once again congratulate Tiana and we look forward to seeing her in the office for work experience soon”.